It sure feels good to hit 10,000 blog views, and to celebrate Joe and I have devised a mix that contains some of our favourite producers and artists - Flying Lotus, Hudson Mohawke, Arca, DJ Rashad, Aphex Twin etc etc etc. It's all good stuff. 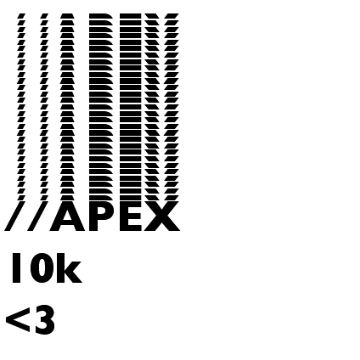 Thanks for checking out //APEX (or indeed J&J) over the past year or so, because seeing 10,000 pop up certainly left me feeling rather gratified, and I'd hazard a guess that Joe would say the same.